Keep side tables clear of clutter. Accent them with just a few affordable accessories such as a table lamp, pretty flowers, and a picture frame featuring someone special. Curtains do wonders to soften a room and make it feel finished. Hang them from the ceiling to the floor for a grand effect and choose blackout curtains to keep the morning sunlight out on weekends. Cozy up a master bedroom instantly with a well-chosen area rug. They will warm up a wood or tile floor, giving you something soft to walk on. Even if you have carpet, an area rug can add extra color, pattern, or texture. 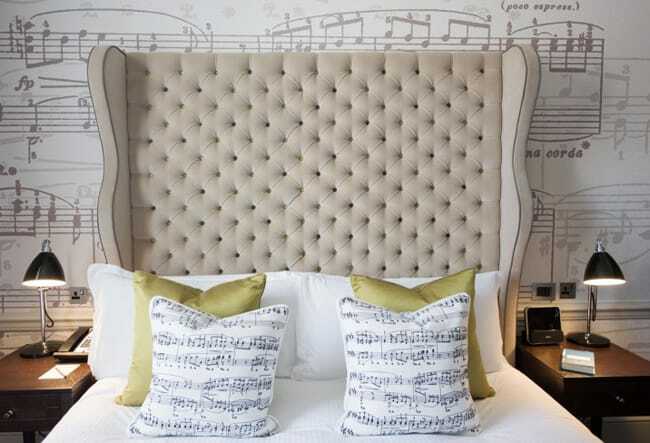 Instead of buying an entirely new bedroom set, consider swapping out just the headboard for something new. You can find affordable ones at thrift stores or you can get crafty and make one yourself. Lighting plays an important role in every room. For a master bedroom, don’t go for anything too bright or consider installing a dimmer for a more relaxed atmosphere. A chandelier can add a glamorous touch. The bed is always the focal point of a great master bedroom. 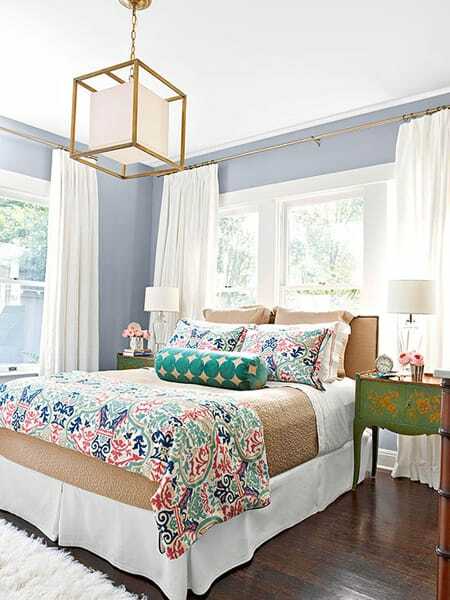 Layer a colorful patterned throw or comforter over neutral bedding to give it dimension. 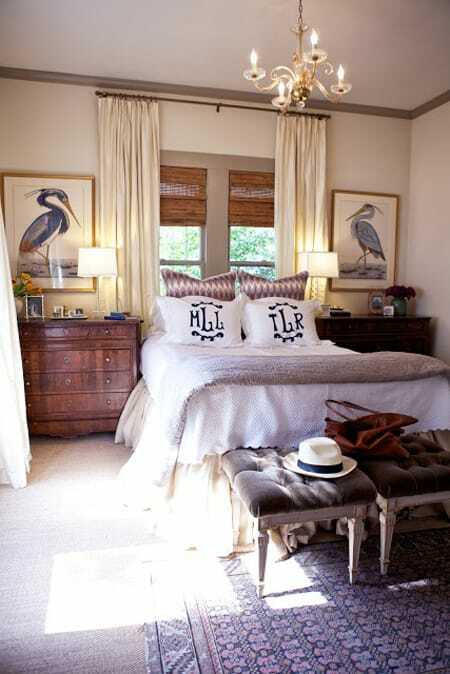 Finish it off with a few rows of mixed and matched pillows. Choose a wall color that speaks to you. If you want a serene and calming effect, go with a soft tone. This could be a neutral such as greige (gray/beige) or a color like blue or a seafoam green. Choose artwork that will pull the room together and give it some life. If you have a particular theme you are trying to capture (i.e. coastal), this is a perfect place to add an element that speaks to its spirit. Most of all, have fun decorating your master bedroom. After all, it’s all about you! Focus on creating a space that helps you unwind.